You have to make a bill of supply when you are registered for GST and you are selling an exempted good or service, or if you have chosen the composition scheme. In such a case, you can neither charge tax from your customer, nor show the tax on your bill. 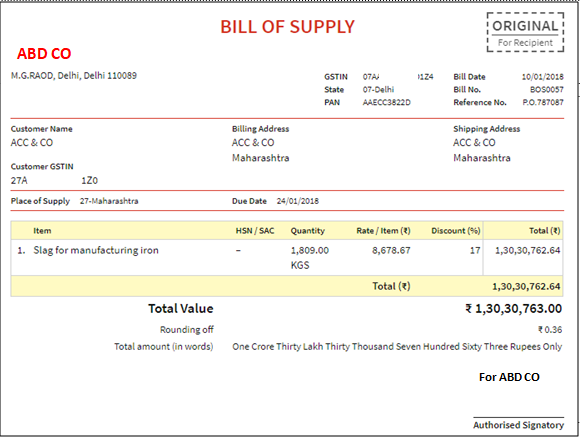 Enter the serial number of the bill under bill number.